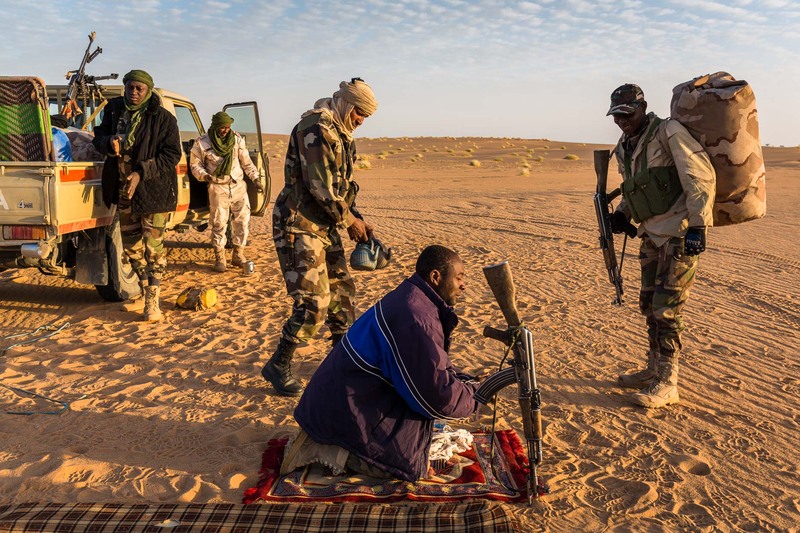 A Niger army unit travels in convoy with the mayor of Agadez, Rhissa Feltou and his entourage out of the Aïr mountain region of central Niger. Seen here beginning the day, praying to Allah and closing down the temporary night camp site. Ténéré region of northern Niger.